Scarves are most definitely our hot topic of this week! 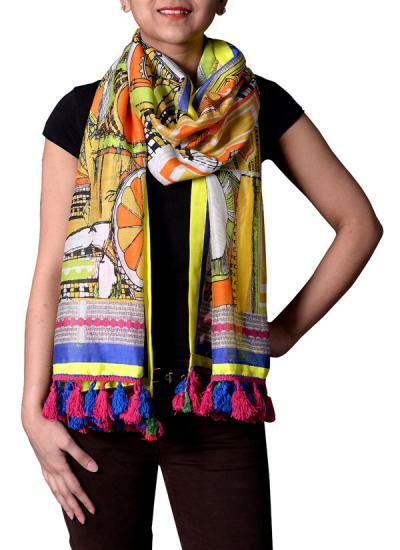 These stunning brightly coloured and crazily patterned scarves by Charu Desi are a complete showstopper and would transform any outfit. 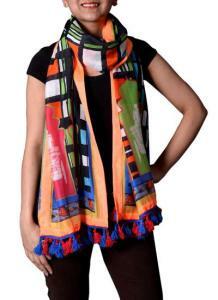 A great way to style these patterned scarves is by teaming them with a classic little black dress or t-shirt. This creates a bold and beautiful statement without overwhelming the eye. Unless of course you love bright clashing colours and mixing prints, then mix and match as much as you like! A personal favourite combination of mine is teaming this classic black embroidered notches dress by Abraham & Thakore with this gorgeous bright door print scarf by Charu Desi, creating a perfect casual outfit for any day occasion. This scarf has to be a favourite of mine, the bright citrus colours teamed with the detailed and quirky print and silky fabric creates a luxury look that could be worn with any simple and classic outfit. These scarfs can also be worn in a variety of ways, for example loosely wrapping around your neck once for a cosy and stylish look. 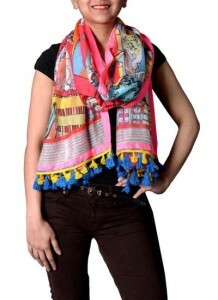 You can wear it around your neck loosely knotted, or draped over your head in a snood fashion for those colder days. These Charu Desi patterned scarves are perfect for the Auntnm/Winter months that are quickly approaching, mixed with some very uncertain weather forecasts! The silky fabric means they are not too warm, nor too cold so are great to wear on a day to day basis. 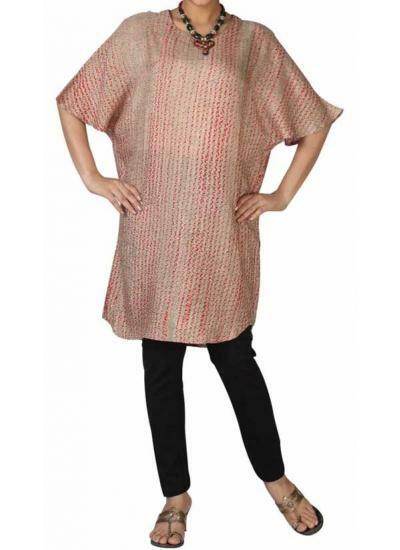 Try also teaming one of these gorgeous scarfs with a simple tunic dress such as this tan and red Tritik silk tunic by Neeru Kumar, this colourful combo would be perfect for smart casual evening out, teamed with a simple pair of trousers and a pair of strappy heels, would most definitely turn some heads!